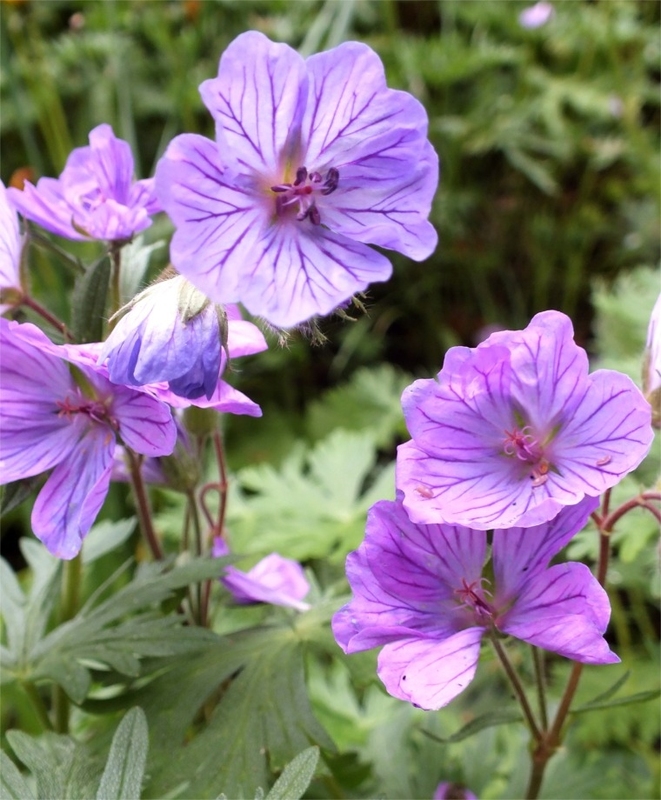 Geranium tuberosum has attractive, sculpted, fern-like foliage with one or two slender stalks topped with two leaves at which point the stalk splits into multiple wiry stems with loosely clustered, buttercup-shaped, rose-violet flowers etched with deep purple veins. 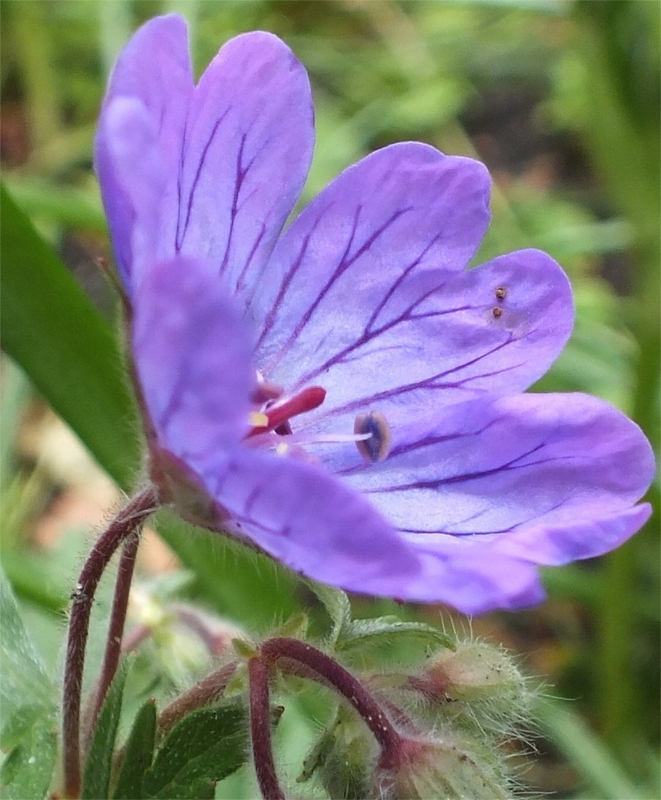 Each beautiful flower has five lobed petals that look like hearts from which ten purple anthers emerge. 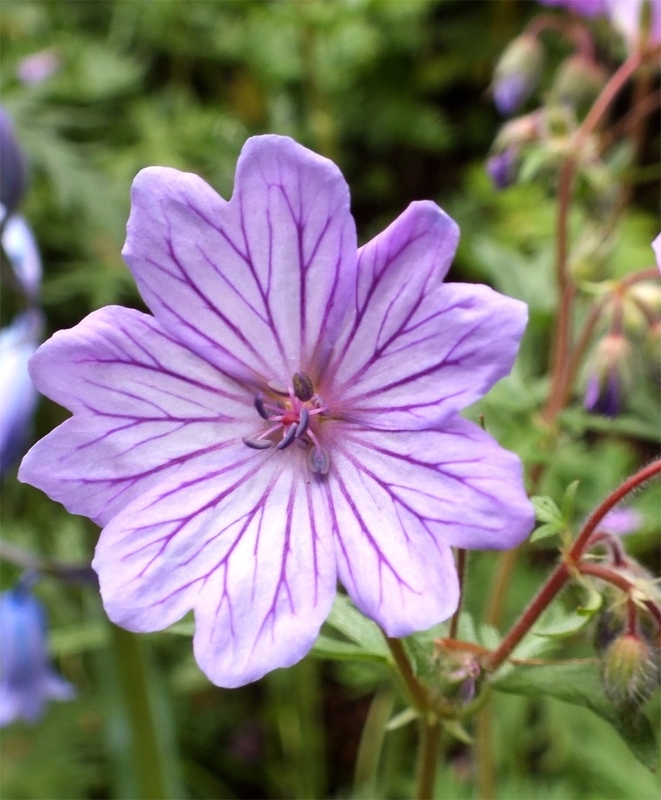 In natural settings, like sun dappled woodlands or meadows, Geranium tuberosum looks carefree and a bit wild. 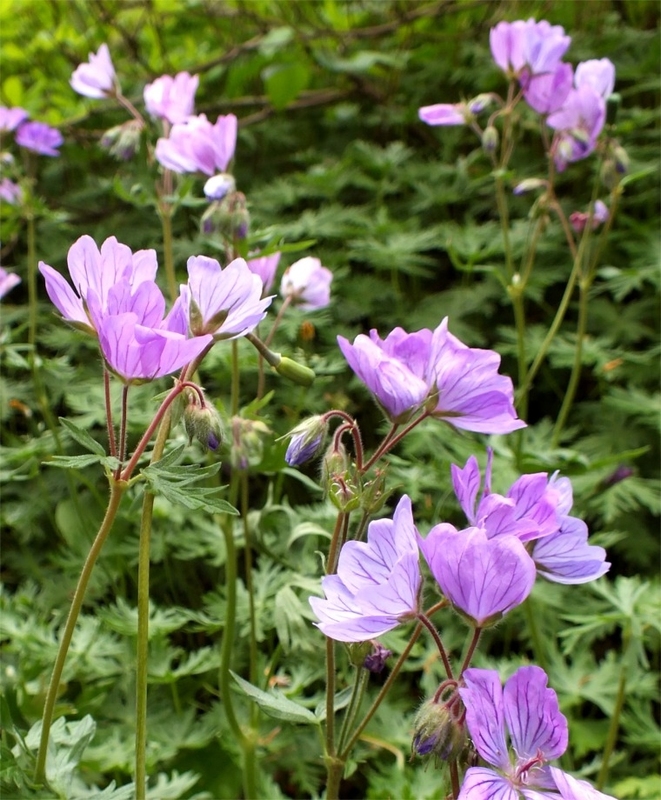 A tuberous species native to southern Europe and Asia Minor circa 1596, this deer-and-rodent resistant naturalizer creates a magical seasonal ground cover in full to partial sunlight. It is best grown in neutral pH, well-draining soil that is a bit humus-rich. 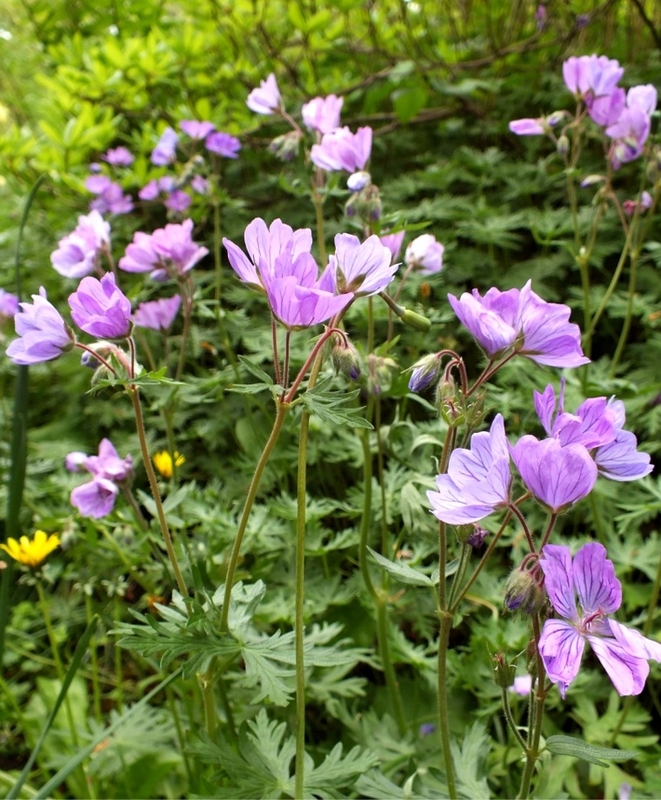 A good naturalizer, if it’s happy where it’s planted and is left undisturbed, it naturalizes by bulb offsets (called bulbils: baby bulbs on the sides of the mother bulb you’ve planted). You’ll need nine bulbs per square foot. 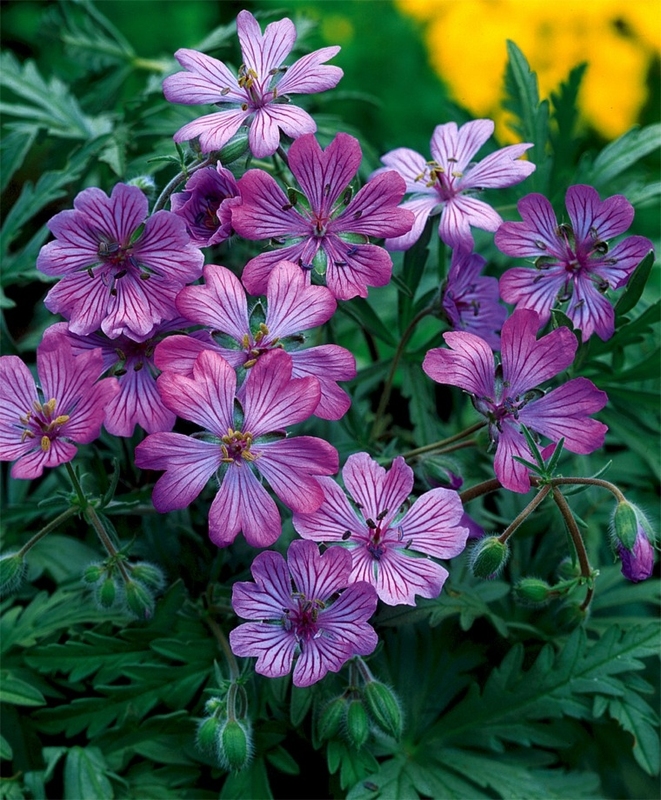 (Square footage is determined multiplying the planting site’s length times its width.) 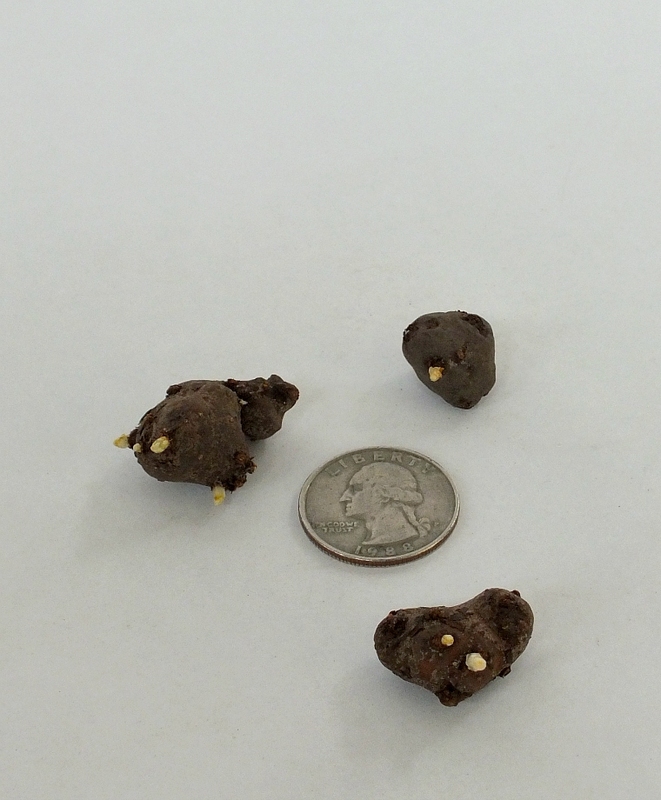 Top size tubers. Full to partial sunlight. Bloom time in horticultural zone 5: April/May. Plant 4" deep (no deeper) and 4" apart. HZ: 5-9. Height: 8". 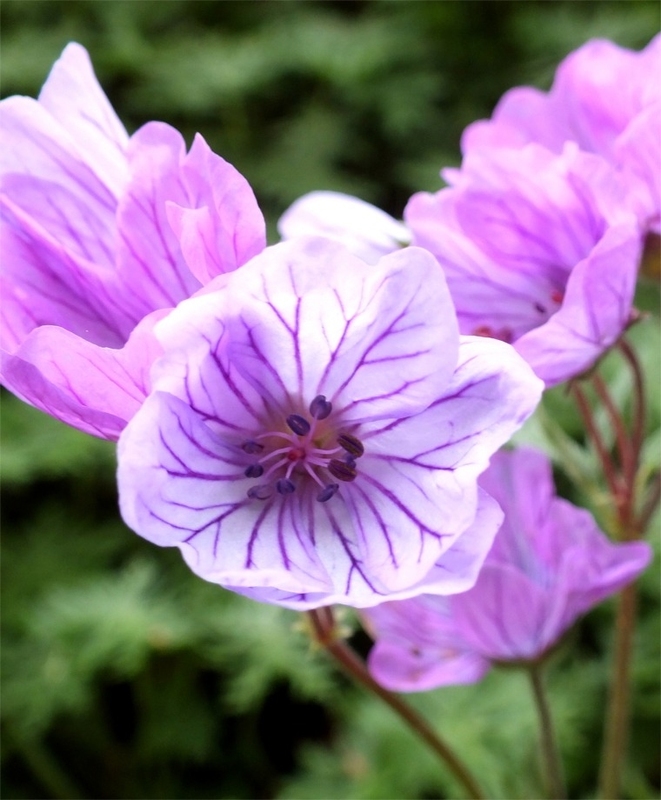 Geranium tuberosum is The Art & Soul of Spring.